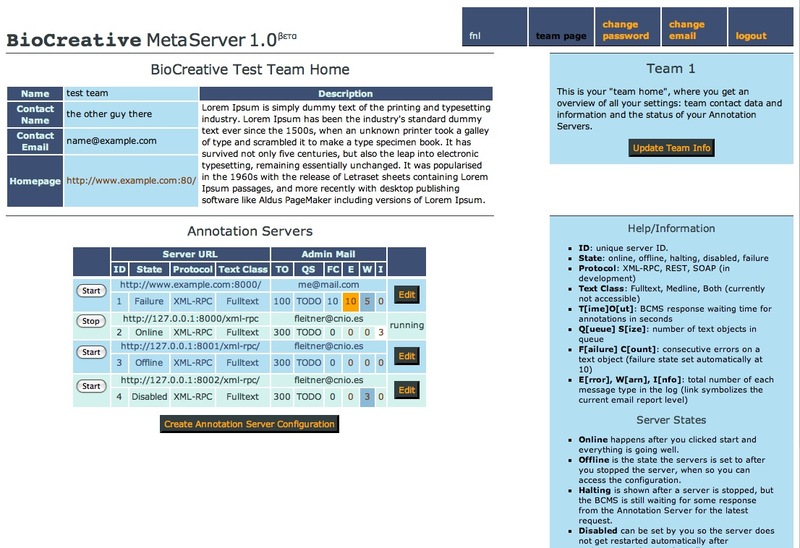 These are screenshots from the Annotation Server administration interface that will be exclusively available to the BioCreative II.5 online challenge participants. Hopefully, it will be online sometime during next week, so participants will have enough time to familiarize themselves with it. Having this interface should more than make good for the delay in the test phase. It will allow remote administration of all you Annotation Server settings relevant to the BCMS, including error logs, setting public information, and adding additional servers to your current setup. 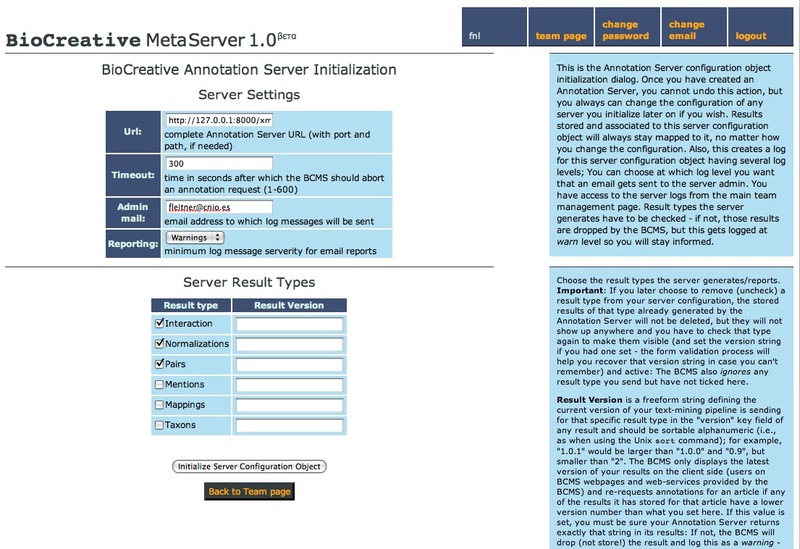 The screenshots are from the main administration panel ("team homepage") and the dialog for initializing a new server ("server initialization"). As the current development is progressing very well, it is highly likely we will be using this interface during the test phase. More information will be published next week.